The team at Conversio approached us about integration after several of their customers had been asking for it. When we have user demand, we listen and get to work. So, we’re happy to announce a brand new integration with Conversio! Thanks to your request, all Conversio and Justuno users can now use this integration to supercharge their email marketing efforts. Conversio is an “all-in-one marketing dashboard” that can pretty much run your marketing on auto-pilot. It’s an app that automates marketing in email, abandoned carts, follow-up flows, and email purchase receipts. With the Justuno + Conversio integration, you can capture email addresses on your site, then push those emails into Conversio for targeted marketing. Want to grow your Conversio lists? Email list building is a key success factor in any e-commerce business! 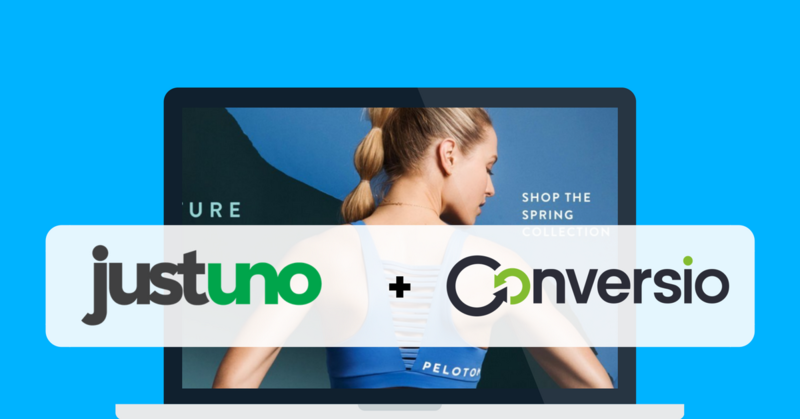 Take your marketing efforts to the next level today by integrating Justuno and Conversio! If you’re already a Conversio user and want to build your list, sign up for a free Justuno account today.